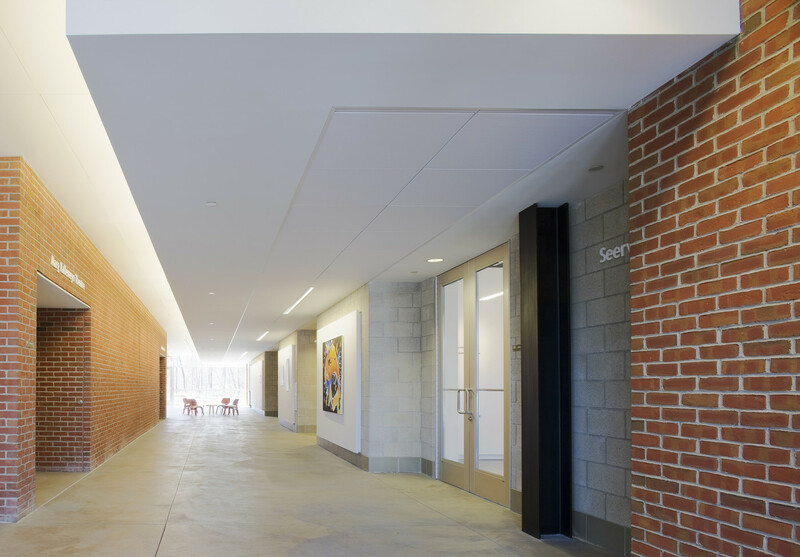 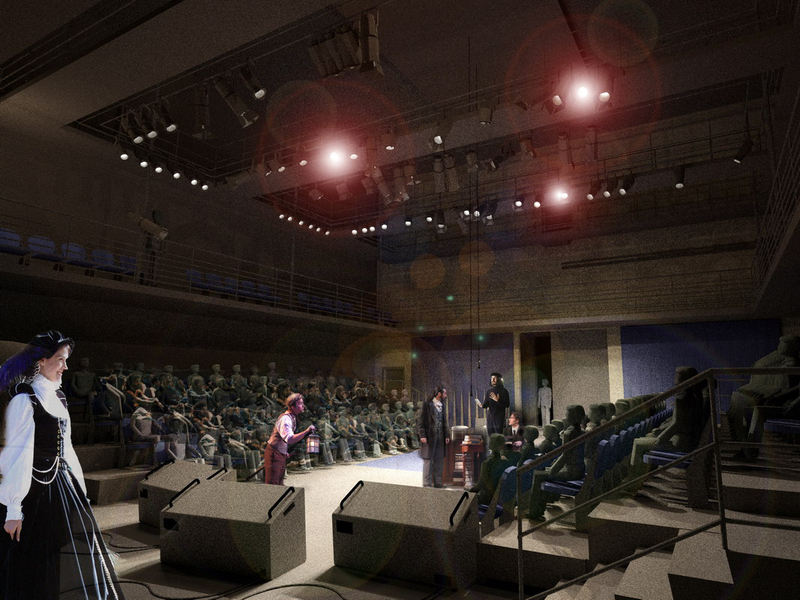 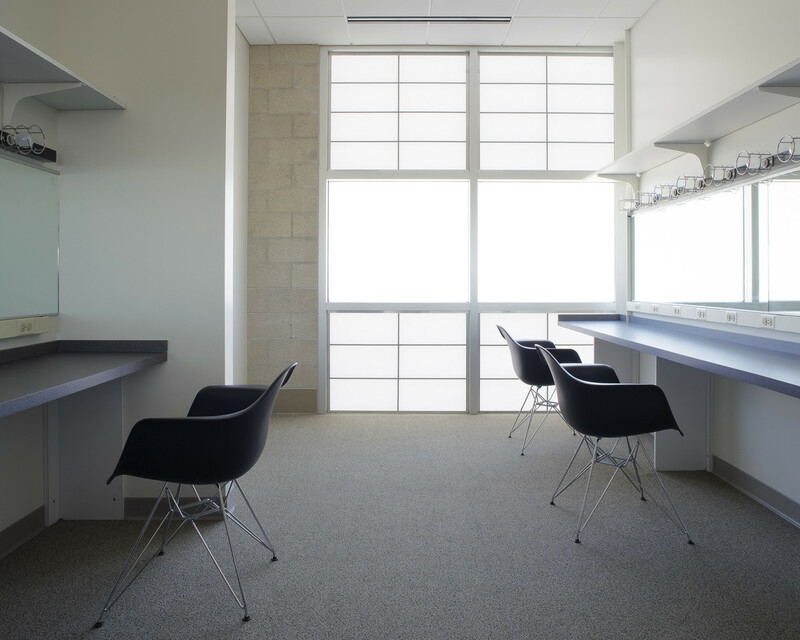 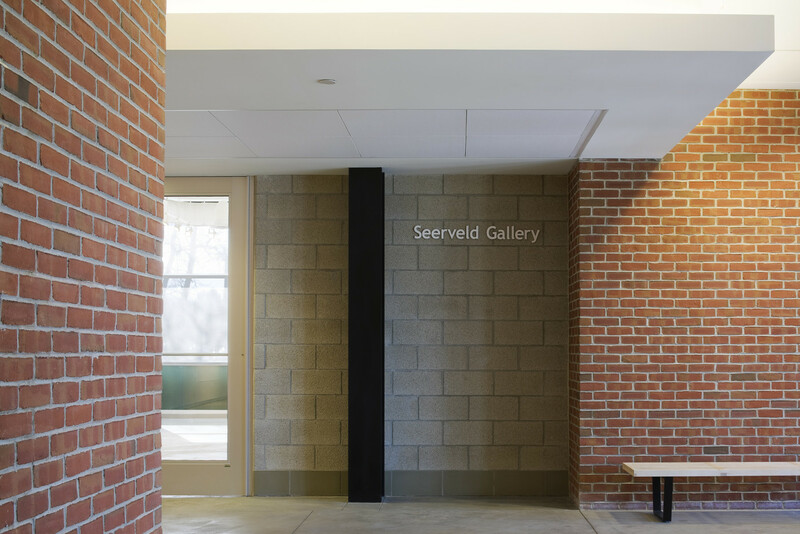 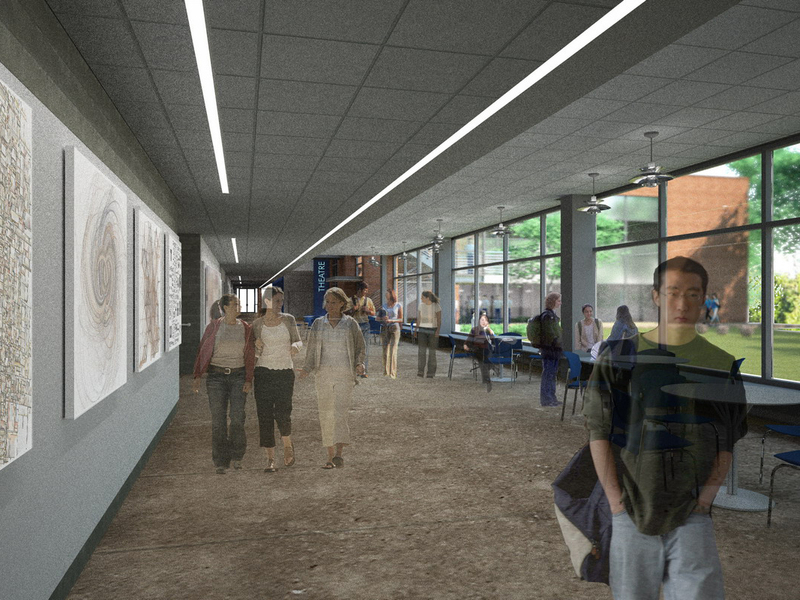 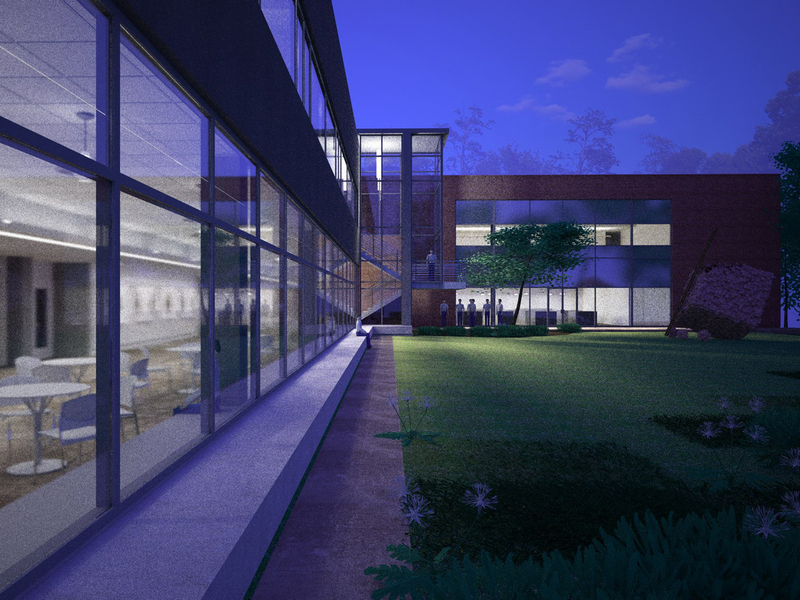 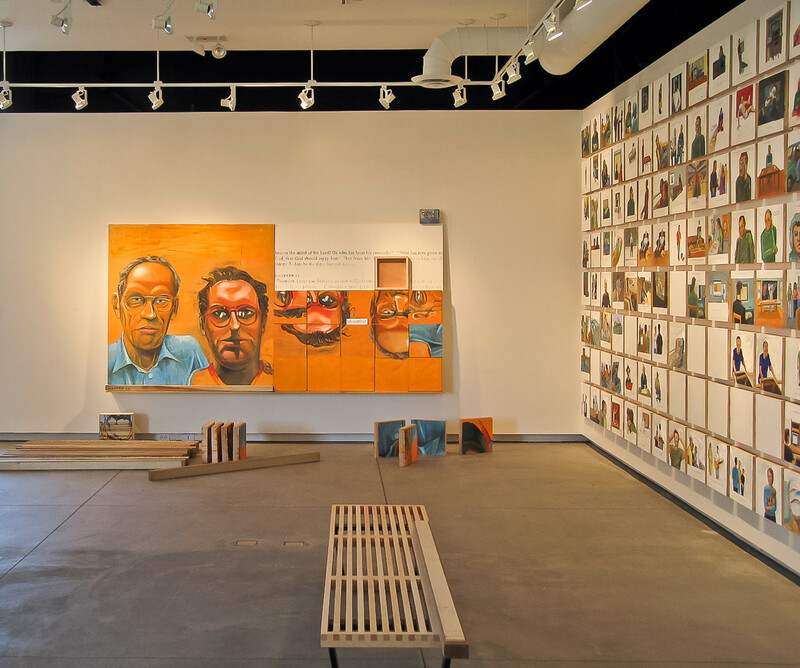 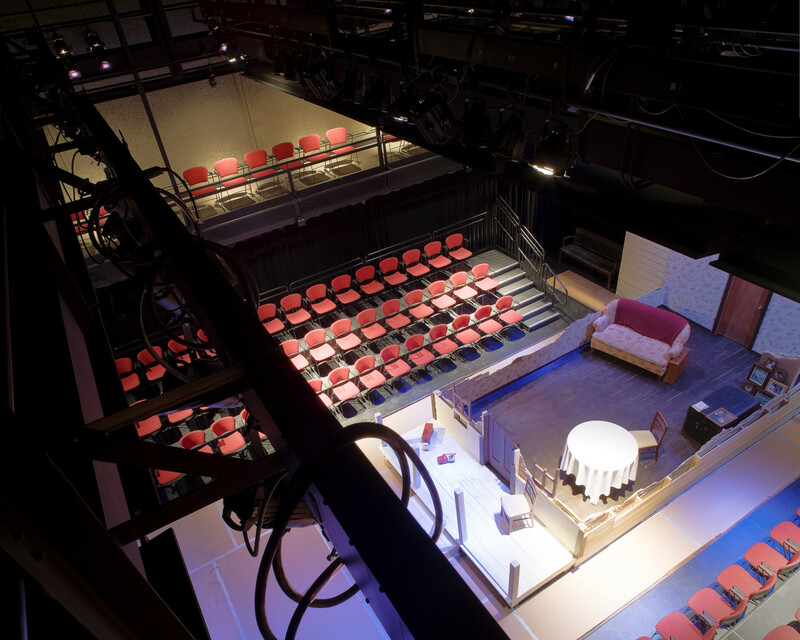 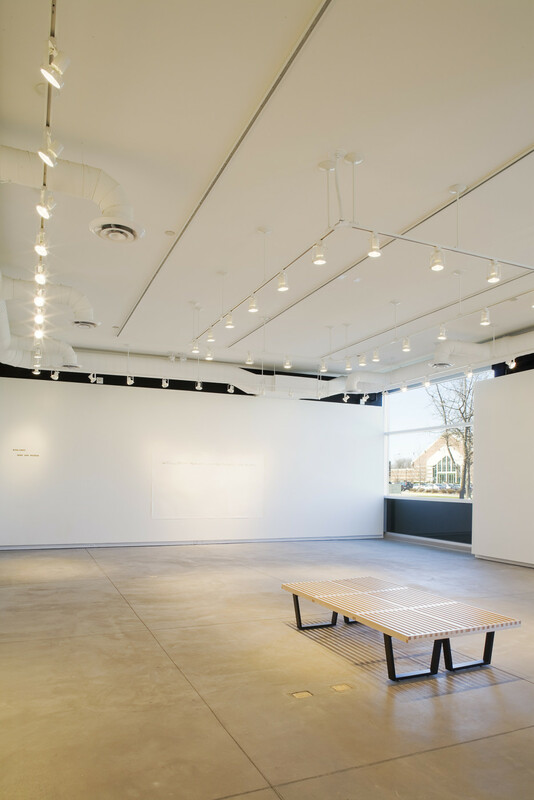 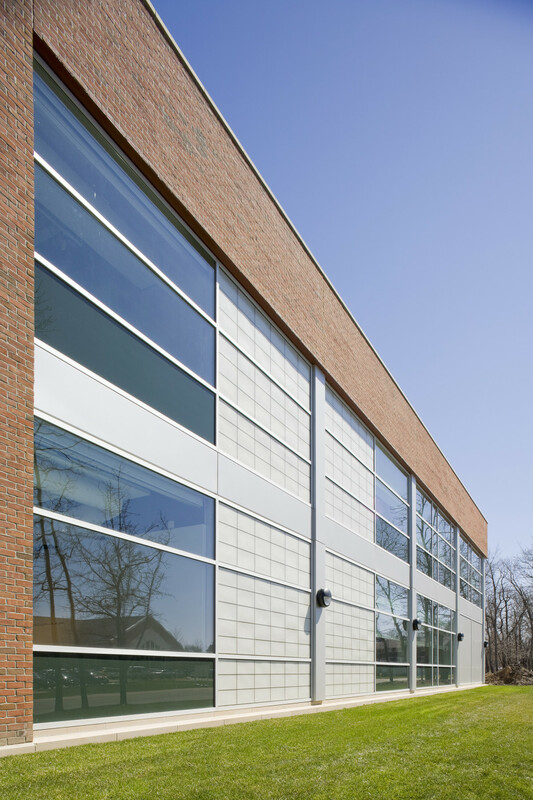 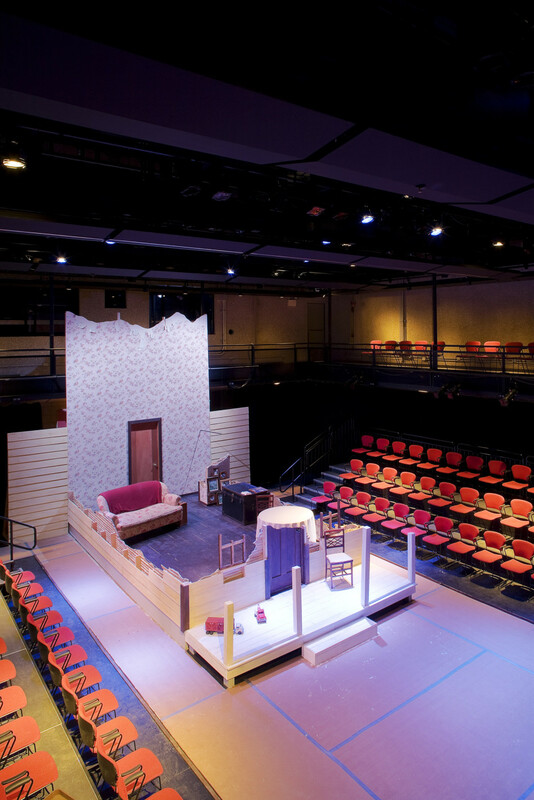 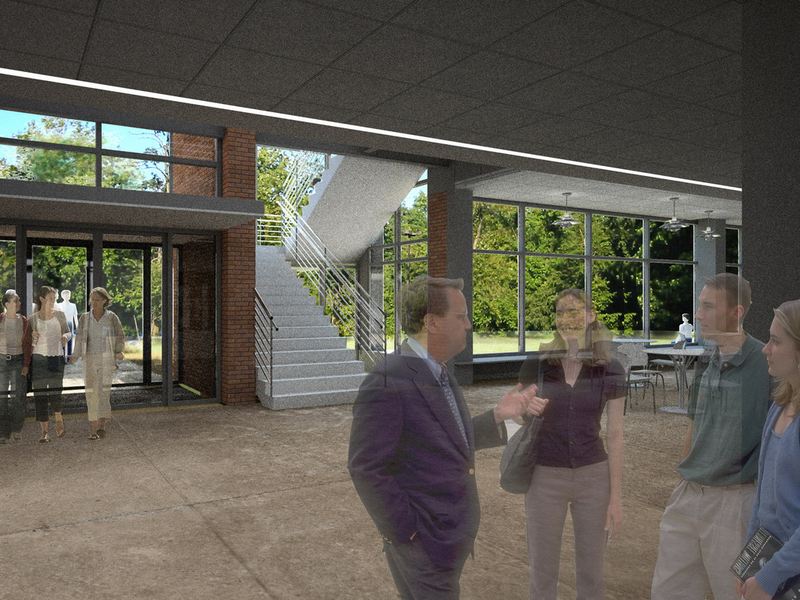 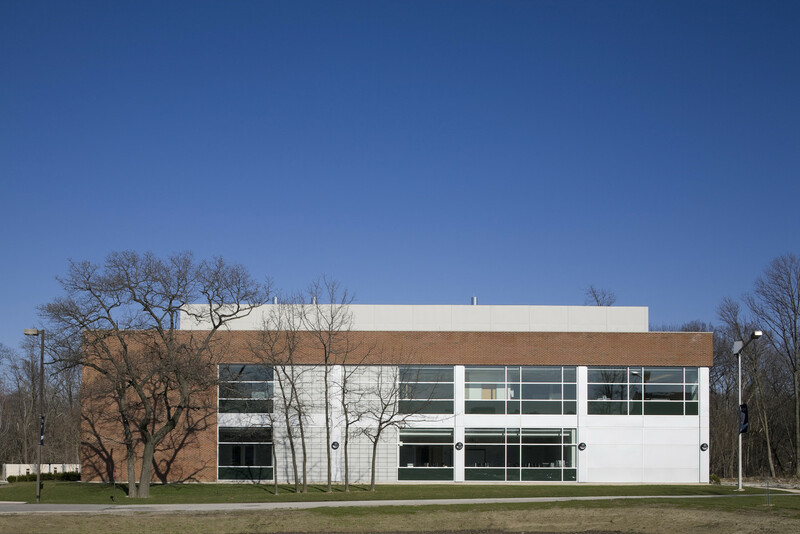 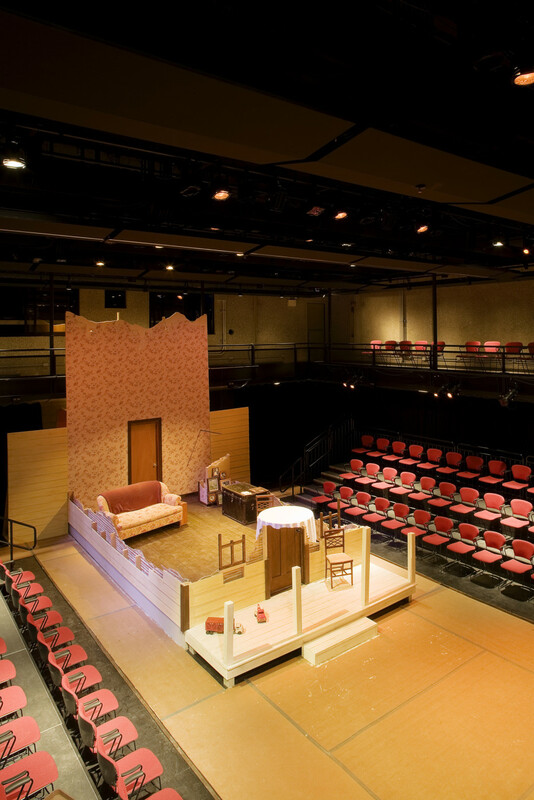 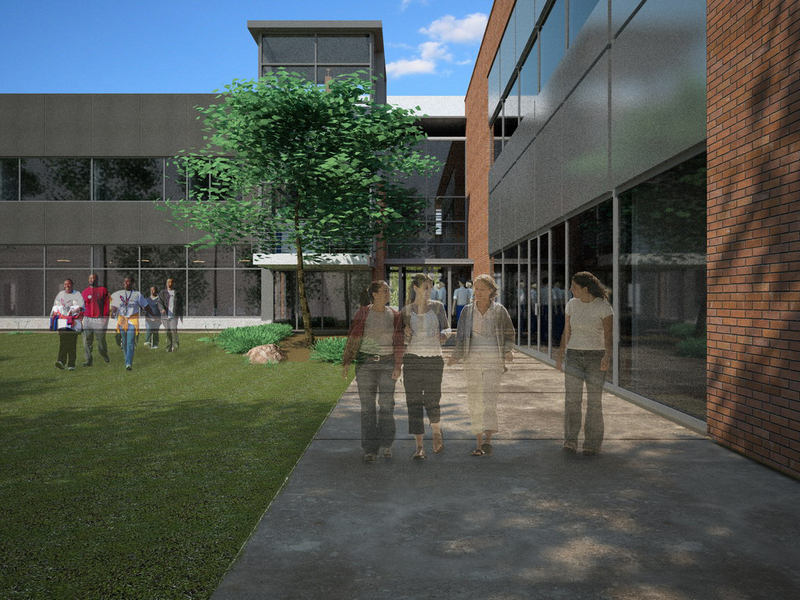 Sited along the entry drive to a suburban college campus, the Theater Arts Building presents a public face that addresses the road, while simultaneously opening up at the back to a landscaped courtyard that nestles up to a scenic wooded ravine and floodplain boundary. 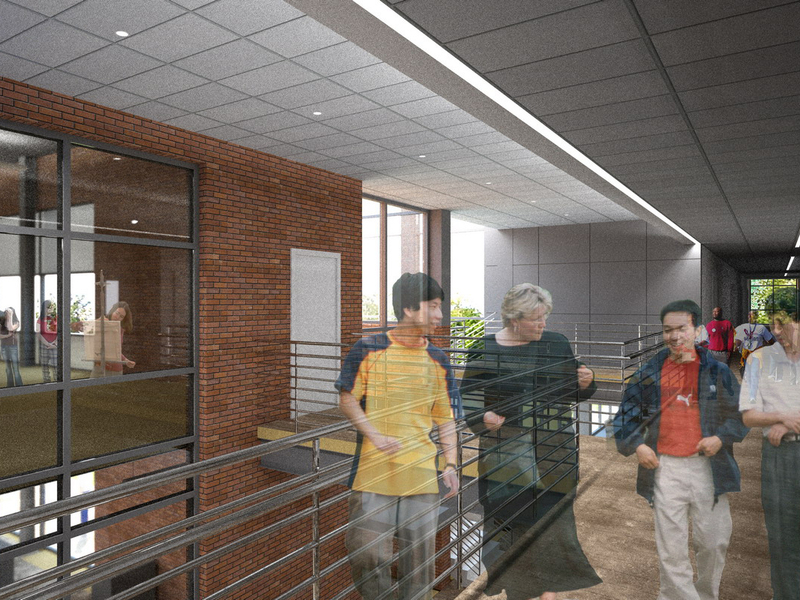 Similarly, the program for the building also has two distinctly different components. 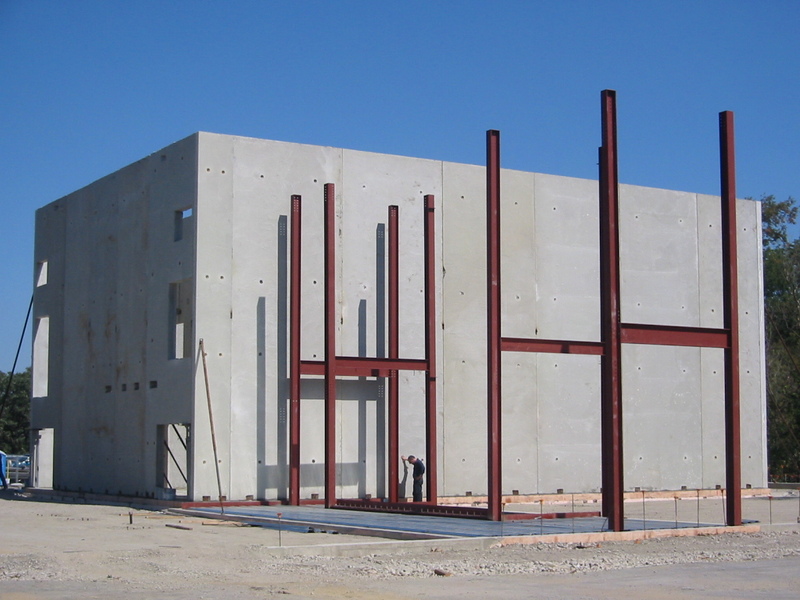 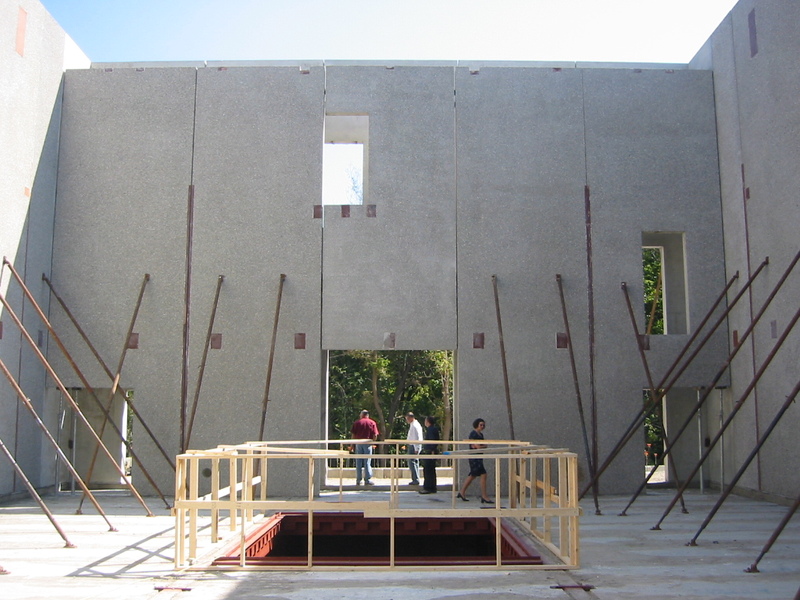 A 200 seat black box theater, contained by exposed coarse aggregate precast concrete panels, becomes a public face for the college and community. 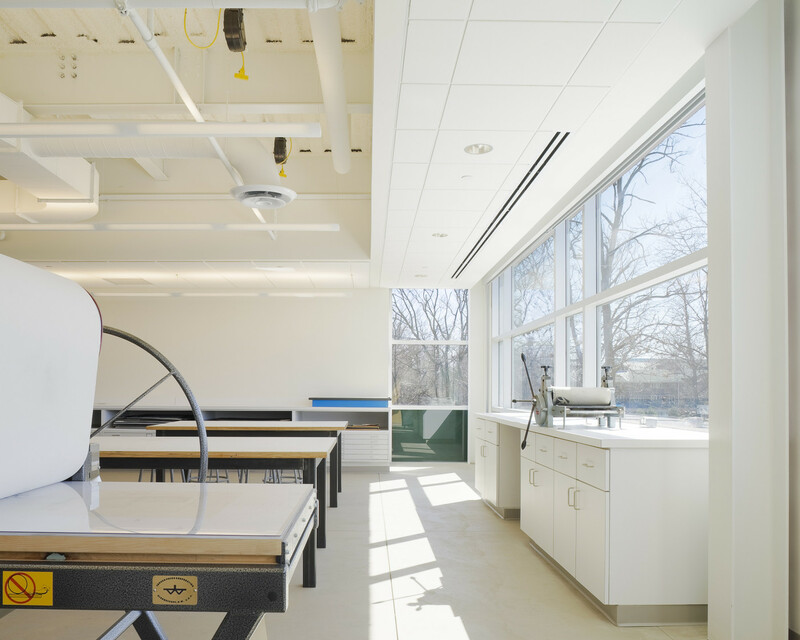 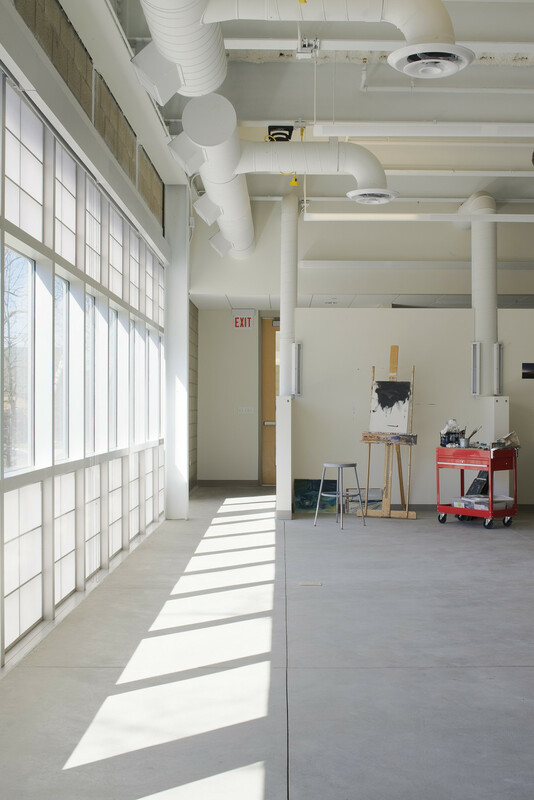 A steel frame and masonry envelope provides studios and classrooms for hands on coursework including painting, ceramics and printmaking.